I tested a sample file import and it worked like a charm the first time. I continue to be impressed by all of the features you have in the LMS. 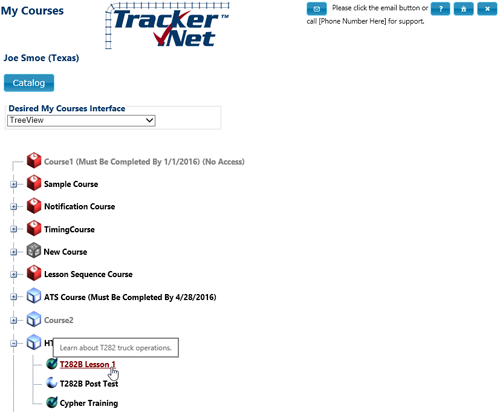 I am getting familiar with Tracker.Net and we really like it. It seems to fit our needs and is easy to use. The simple-to-use interface means students can concentrate on the learning material rather than having to worry about how to navigate the LMS and how to launch the course.